Damat Prince Muhammad Abdel Moneim Beyefendi (20 February 1899 – 1 December 1979) was an Egyptian prince and former heir apparent to the throne of Egypt and Sudan from 1899 to 1914. Upon the abdication of King Farouk following the Egyptian Revolution of 1952, he served as Regent for King Ahmed Fuad II until the declaration of the Republic of Egypt and abolition of the Egyptian and Sudanese monarchy in 1953. Damat was an official Ottoman title describing men that entered the imperial House of Osman by means of marriage, literally becoming the bridegroom to the Ottoman sultan and the dynasty. In almost all cases, this occurred when a man married an Ottoman princess. 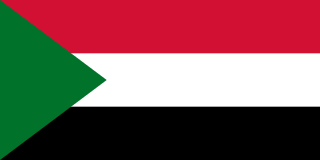 Sudan or the Sudan, officially the Republic of the Sudan, is a country in East Africa. It is bordered by Egypt to the north, the Red Sea to the northeast, Eritrea to the east, Ethiopia to the southeast, South Sudan to the south, the Central African Republic to the southwest, Chad to the west, and Libya to the northwest. 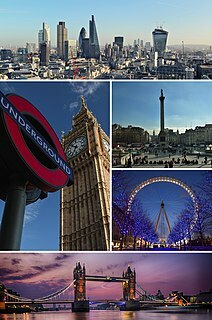 It houses 37 million people (2017) and occupies a total area of 1,861,484 square kilometres, making it the third-largest country in Africa. Sudan's predominant religion is Islam, and its official languages are Arabic and English. The capital is Khartoum, located at the confluence of the Blue and White Nile. Since 2011, Sudan is the scene of ongoing military conflict in its regions South Kordofan and Blue Nile. 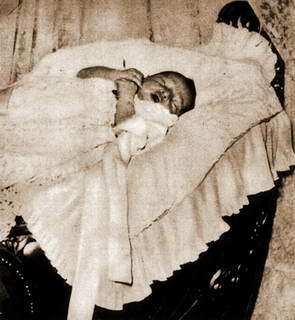 Prince Muhammad Abdul Moneim was born at the Montaza Palace, near Alexandria. His father Abbas II was the reigning Khedive and so Muhammad Abdul Moneim became heir apparent upon his birth and was given the title of Hereditary Prince. He was educated at Fribourg, Switzerland. Following the Ottoman Empire's entry into World War I, Muhammad Abdul Moneim's father Abbas II was deposed by Britain on 18 December 1914 for supporting the Ottomans in the War. His father was replaced on the throne by his uncle Hussein Kamel, bypassing Muhammad Abdul Moneim who was now demoted in the line of succession. He was created His Highness in 1922. He served as President of the Egyptian Olympic Committee from 1934 until 1938. 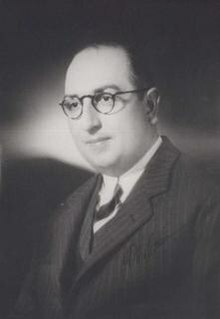 In 1939 he was appointed President of the Arab delegation to the Palestine Conference in London in 1939. Montaza Palace is a palace, museum and extensive gardens in the Montaza district of Alexandria, Egypt. It was built on a low plateau east of central Alexandria overlooking a beach on the Mediterranean Sea. Abbas II Helmy Bey was the last Khedive of Egypt and Sudan, ruling from 8 January 1892 to 19 December 1914. In 1914, after the Ottoman Empire joined the Central Powers in World War I, the nationalist Khedive was removed by the British, then ruling Egypt, in favor of his more pro-British uncle, Hussein Kamel, marking the de jure end of Egypt's four-century era as a province of the Ottoman Empire, which had begun in 1517. Following the abdication of King Farouk, Muhammad Abdul Moneim served as Chairman of the Council of Egyptian Regency from 26 July 1952 to 18 June 1953 for the infant King Fuad II, being created His Royal Highness in 1952. The regency came to an end when Major General Muhammad Naguib took power and declared Egypt a republic, ending the rule of the Muhammad Ali Dynasty. Farouk I was the tenth ruler of Egypt from the Muhammad Ali dynasty and the penultimate King of Egypt and the Sudan, succeeding his father, Fuad I, in 1936. Fuad II is a member of the Egyptian Muhammad Ali dynasty. He formally reigned as the last King of Egypt and the Sudan from July 1952 to June 1953, when he was deposed. He died in Ortaköy, Istanbul, and was buried in Cairo. Ortaköy in Greek known as Agios Fokas in the Byzantine period and Mesachorion later, is a neighbourhood, formerly a small village, within the Beşiktaş district of Istanbul, Turkey, located in the middle of the European bank of the Bosphorus. Muhammad Abdul Moneim married his third cousin Princess Fatma Neslişah Osmanoğlu Sultan (4 February 1921 – 2 April 2012) at the Heliopolis Palace, Cairo, on September 26, 1940. She was a daughter of Prince Şehzade Omer Faruk (1898–1969/1971) and his first wife and cousin, Princess Rukiye Sabiha Sultan (1894–1971). Fatma Neslişah was also paternal granddaughter of the last Ottoman Caliph Abdülmecid II by his first wife and maternal granddaughter of the last Ottoman Sultan and Caliph Mehmed VI by his first wife. The Heliopolis Palace is one of the three Egyptian presidential palaces and residences, the others being Montaza Palace and Ras el-Tin Palace, for the executive office of the President of Egypt. It is located in the suburb of Heliopolis, northeast of central Cairo and east of the Nile in Egypt. It was originally built as the grand Heliopolis Palace Hotel in 1910. Now it is for the use of the President of Egypt. Mehmed VI Vahideddin, who is also known as Şahbaba among his relatives, was the 36th and last Sultan of the Ottoman Empire, reigning from July 4, 1918 until November 1, 1922 when the Ottoman Empire dissolved after World War 1 and became the nation of the Republic of Turkey on October 29, 1923. The brother of Mehmed V, he became heir to the throne after the 1916 suicide of Abdülaziz's son Şehzade Yusuf Izzeddin as the eldest male member of the House of Osman. He acceded to the throne after the death of Mehmed V. He was girded with the Sword of Osman on 4 July 1918, as the thirty-sixth padishah. His father was Sultan Abdulmejid I and mother was Gülüstü Hanım, an ethnic Abkhazian, daughter of Prince Tahir Bey Çaçba and his wife Afişe Lakerba, originally named Fatma Çaçba. Mehmed was removed from the throne when the Ottoman sultanate was abolished in 1922. Prince Abbas Hilmi bin Prince Muhammad Abdel Moneim bin Khedive Abbas Hilmi II Bey is an Egyptian and Imperial Ottoman prince and financial manager. A member of the Muhammad Ali Dynasty and the Imperial House of Osman, he is the only son of Prince Muhammad Abdel Moneim and his Ottoman wife Princess Neslişah, and grandson of Khedive Abbas Hilmi II Bey. Nabīl or Nabeel is a male given name of Arabic origin, meaning "noble". The feminine version is Nabila, Nabeela, Nabilah or Nabeelah. The feminine version is Nabila, Nabeela, Nabilah or Nabeelah. The name Nabil has a similar meaning to the English given name Patrick. Fuad I was the Sultan and later King of Egypt and Sudan, Sovereign of Nubia, Kordofan, and Darfur. The ninth ruler of Egypt and Sudan from the Muhammad Ali dynasty, he became Sultan of Egypt and Sudan in 1917, succeeding his elder brother Sultan Hussein Kamel. He substituted the title of King for Sultan when the United Kingdom recognised Egyptian independence in 1922. His name is sometimes spelled Fouad. Fawzia Fuad of Egypt, also known as Muluk Fawzia of Iran, was an Egyptian princess who became Queen of Iran as the first wife of Mohammad Reza Pahlavi. Abdulmejid II was the last Caliph of Ottoman Dynasty, nominally the 37th Head of the Ottoman Imperial House from 1922 to 1924. The term Khedive is a title largely equivalent to the English word viceroy. It was first used, without official recognition, by Muhammad Ali Pasha, the governor of Egypt and Sudan, and vassal of the Ottoman Empire. The initially self-declared title was officially recognized by the Ottoman government in 1867, and used subsequently by Ismail Pasha, and his dynastic successors until 1914. Al-Rifa'i Mosque, is located in Cairo, Egypt, in Midan al-Qal'a, adjacent to the Cairo Citadel. The building is located opposite the Mosque-Madrassa of Sultan Hassan, which dates from around 1361, and was architecturally conceived as a complement to the older structure. This was part of a vast campaign by the 19th century rulers of Egypt to both associate themselves with the perceived glory of earlier periods in Egypt's Islamic history and modernize the city. The mosque was constructed next to two large public squares and off of several European style boulevards constructed around the same time. The Muhammad Ali dynasty was the ruling dynasty of Egypt and Sudan from the 19th to the mid-20th century. It is named after its progenitor, Muhammad Ali Pasha, regarded as the founder of modern Egypt. It was also more formally known as the Alawiyya dynasty. Because a majority of the rulers from this dynasty bore the title Khedive, it was often referred to by contemporaries as the 'Khedival dynasty'. Neslişah Sultan (Osmanoğlu) was a granddaughter of the last Ottoman Caliph Abdulmejid II and his first wife, Şehsuvar Hanım and granddaughter of the last Ottoman Sultan Mehmed VI and his first wife, Nazikeda Kadın. 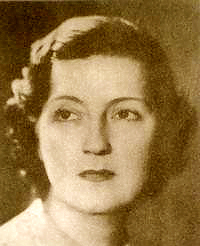 She was the daughter of Şehzade Omer Faruk (1898–1969/1971) and his first wife and cousin Sabiha Sultan (1894–1971). Regencies in Egypt date back to Pharaonic times. Throughout Egypt's long history, there have been several instances of regents assuming power due to the reigning monarch's minority, physical illness or poor mental health. There have also been several cases of coregencies where two monarchs ruled simultaneously. Melek Hassan Tourhan was the second wife of Sultan Hussein Kamel of Egypt. After her husband ascended the throne in 1914, she became known as Sultana Melek. Nazikeda Kadın, meaning 'One of delicate manners', was empress consort of the Ottoman Empire as the first wife and chief consort of the last Ottoman sultan Mehmed VI. Prince Mahmud Namık Efendi, was the only son of Ömer Hilmi, and his wife Hadice Firdevs Gülnev Başhanımefendi, and grandson of Sultan Mehmed V Reşad. Prince Mahmud Namık was an active member of the "Zohriya Set", a group of exiled members of the Ottoman dynasty who lived in the Cairo suburb of Maadi along with members of the Egyptian Royal family and their entourage. Prince Mahmud Namık was implicated in the "Restoration Plot" to overthrow Gamal Abdel Nasser and replace him on the restored throne with Prince Muhammad Abdel Moneim. his trial and subsequent imprisonment made headlines around the world. Sabiha Sultan was an Ottoman princess, the daughter of Sultan Mehmed VI and Nazikeda Kadın. She was the first wife of Şehzade Ömer Faruk, son of the last Caliph of the Muslim world, Abdulmejid II and Şehsuvar Hanım. Emina Ilhamy or Amina al-Hamy was an Egyptian and Ottoman princess and a member of the Muhammad Ali Dynasty. She was the first Khediva from 1873 to 1892 as the wife of Khedive Tewfik Pasha and Valida Pasha to their son Abbas Hilmi II Pasha from 1892 to 1914. Under the Muhammad Ali dynasty, the line of succession to the former Egyptian throne was subject to a number of changes during its history. From its founding in 1805 until 1866, the dynasty followed the imperial Ottoman practice of agnatic seniority, whereby the eldest male in any generation would succeed to the throne. In 1866, however, the then Khedive of Egypt Isma'il Pasha obtained a firman from the Ottoman Emperor which restricted the succession to the male-line descendants of Isma'il Pasha. 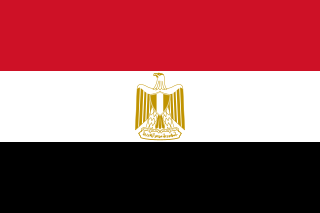 The resulting succession remained in force until the abolition of the Egyptian monarchy in 1953, following the 1952 Egyptian Revolution. Nazime Sultan was an Ottoman princess, the daughter of Ottoman Sultan Abdülaziz. Wikimedia Commons has media related to Prince Muhammad Abdel Moneim .